■The impact load capacity OF FHA-E gearbox is enhanced greatly by adopting load-decentralized technology of multi-gear engagement. While traditional spur gears or helical gears must withstand overload impact due to the meshing engagement of only one tooth. ■ Extremely high efficiency is obtained thanks to the drive of external & internal rollers involved sliding and self-rotation. 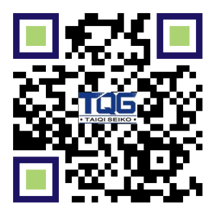 While in the traditional mechanisms, the unsmooth torque transmission caused by the abrasion or interference of gears. FHA-E Series Robot Reducer provides all the advantages of harmonic gearbox negative the shortages of flexspline. 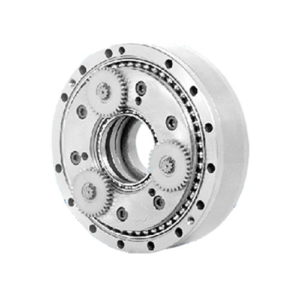 Without increasing the stages of the reducer, FHA-E robot gearbox can provide high ratios due to the planetary gear drive. And cycloid drive provides high loading capacity without obvious vibration. All sliding elements consists of roller. When the roller is rolling, sliding is also involved, and therefore the mechanism loss is nearly ignored and gained superior high efficiency up to 95% under only one stage reduction. 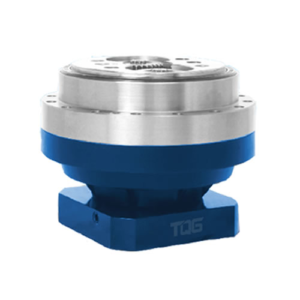 FHA-E Series Robot Reducer provides multi-teeth meshing engagement, at the same time, counterbalanced twin-disc construction of offset vibration, high overlap-coefficient, and roller contact with suitable gap to avoid the interference like gears, which could reduce the noise and vibration effectively. Almost zero backlash of FHA-E robot reducer thanks to the multi-teeth meshing engagement, and therefore the transmission deviation is only 25% of the traditional gear reducer. 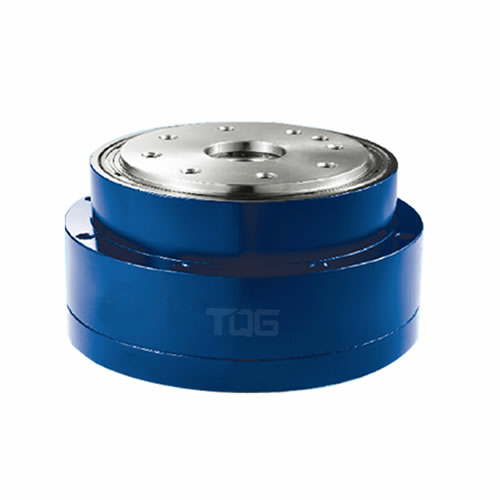 The higher torque of FHA-E robot reducer due to the bigger diameter of rolling wave of roller transmission than traditional disc because of the regular feature of the rolling wave. Single stage FHA-E robot gear can achieve high ratio because the quantity of rollers on the roller disc is equal to ratio. Output shaft and input shaft of FHA-E robot reducer are in line, the structure of which is reinforced and space-saving, thus the dimension is more compact under the same reduction ratio of gear reducer and worm reducer. 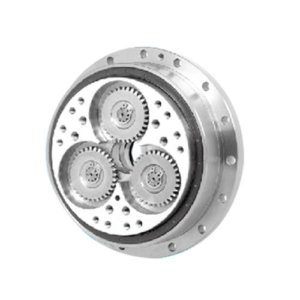 Compared with one tooth meshing of the worm gear reducer or gear reducer, FHT-A robot gearbox is featured with 50% rollers meshing engagement simultaneously of twin-disc roller mechanism, therefore the load capacity is higher than traditional gear reducer. Overall robust mechanism, free of maintenance and long service life due to the creative roller drive, outstanding technology and process, special roller outline without broken teeth. 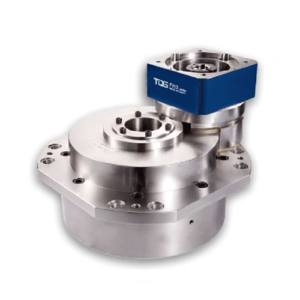 FHA-E robot reducer features of high torque output, high efficiency, low operation load, low energy consumption and higher economical benefit. FHA-E RV reducer is designed friendly with hollow shaft and allows to array the routing hydraulic tubes and electrical cable through the FHA-E reducer. And it is easy to mount the motor through coupling and motor flange.